The feel of the course this year will be exploratory and experiential. Many participants are familiar with many of the principles of Dynamic Mindfulness and Interpersonal Neurobiology. What we will be focusing on is learning to play and be creative with this knowledge, so that it becomes life-transforming and integrative. In each session we will practice meditation, interact as a group and digest new nuggets of knowledge I present. The flow and content of this coming academic year’s program will correlate as closely as possible with the neuroplastic and networking functions of the brain. The way we use our mind to make sense of our lives is far from linear and logical. 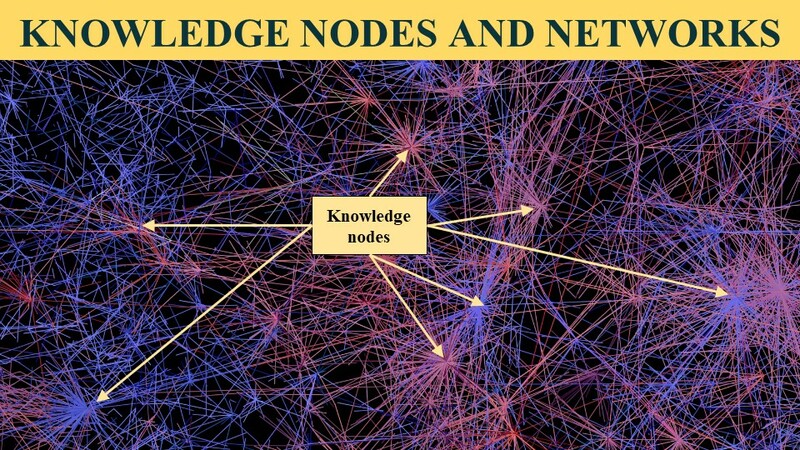 Instead, the entirety of our subjective experiences, from physical sensations to emotions, thoughts and actions, result from a vast information processing network with nodes of energy flow, able to connect in many different ways at any one time. We are driven by certain energy processing highways that tend to keep us locked in routines, but with awareness and training we are also able to leave those highways at any time and forge new paths into the wilderness of the human potential. Bits of information clusters and small units of meaning combine freely in associative ways and create unstable narrative chains of knowledge we temporarily work with. We say a sentence or express an idea, followed by another sentence and another idea, not noticing that the move from the first set of expressions to the second is arbitrary, and that we could have moved into a completely different direction. Through mindfulness we realize this multidirectional potential for creative expansion and become more willing to constantly review the apparently seamless bodies of knowledge we create and modify them under the influence of life’s ever-changing circumstances and experiences. What was true yesterday becomes false today, and that is how life really is. This year I want to convey to my students a sense of ease with the flexibility of mind to roam freely through all its registers of knowing, including its potential to free itself from well-worn highways of habits. We will work on deconstructing the stories we tell ourselves and believe in, and begin to connect their elements together in new ways. The same basic units of knowledge combined in new ways give rise to new insights we never thought possible before. Saying the same thing in a different way and in new contexts opens the door to new insights that are only accessible through the creative flexibility of linking known elements in new ways and new elements in familiar ways. Riding the wave of avant-garde and evolving with the leading edge of knowledge, has always been one of my central teaching missions. What this means is that my themes quite often appear foreign to many, until I start to appear like a dinosaur by the time they become mainstream. When I started to engage in mindfulness meditation over 48 years ago, I was regarded as a far out anomaly, and when I started to teach it over 20 years ago, it was suspiciously regarded as something very new in medicine, despite the fact that it had already started to establish itself in certain centers in the Unites States and Europe. Enriching the MBSR curriculum with the new insights of Interpersonal Neurobiology is still a novelty only practiced at our Centre. Now, a ‘new’ very old topic is being resurrected again after having gone extinct during the 19th century – a topic I believe to have profound adaptive value and be essential for human survival. It disappeared from public discourse 150 years ago, in part because it was only associated with philosophy and religion while social evolution took a major turn into science and technology, and in part because of the empirically minded direction psychology took, culminating in behaviorism’s 20th century abhorrence of having anything to do with the notion that humans have minds. Imagine then a lost civilization. All that is left for you to understand that civilization are archaeological artifacts – nobody around to teach you the language, the customs and traditions that defined that civilization. How are you going to revive it? Today we find ourselves in a similarly difficult situation with this central, yet to be named old, new topic. Fortunately, late 20th century psychology seems to have relaxed a bit, and specific schools of thought within psychology have lost their dominance. In fact, a greater openness of mind, globalization of different knowledge modes and further advances in science, have produced encompassing ways of knowing, such as Interpersonal Neurobiology, which have allowed scientific inquiries into the nature of mind to mushroom into many unexpected directions. The topic in need of resurrection I am referring to is central to the human mind and to our ability to lead the good life with minimal suffering – wisdom. Because of its intrinsic value for healthy human adaptation, in the last 30 years or so wisdom has begun to interest scholars, philosophers and scientists again, and is now resurrecting in scientific and philosophical discourse. Yes, wisdom is starting to pique people’s curiosity again, because it might well be one of the most central factors giving humanity hope for survival. We can now find a handful of researchers taking this topic seriously as a central human concern, and beginning to revive this once dead phoenix with serious scientific, philosophical and practical approaches. What better position to tap into what wisdom is all about, learn to develop it and apply it in our daily lives, than from our mindsight perspective. Wisdom will be the background theme this year, imbuing our traditional work of deepening expertise in mindfulness and mindsight with new contexts and vistas. The Mindsight Intensive is designed to not only provide the necessary tools for short-term success in the conscious regulation of energy and information flow, but also inspire you to explore the contextual backdrop of life that makes long-term growth towards wisdom possible. As I wrote in a recent blog, the exploration of black holes does not seem to have much relevance for daily living, and yet it belongs to the foundation for all the practical knowledge we have acquired, which improves practical living. The same applies to our Mindsight Intensive, which is only partly a ‘how to’ program; it is also designed to give you the kind of foundation that at first blush does not seem to have immediate relevance for daily living, and yet over time profoundly changes your life’s direction and purpose.